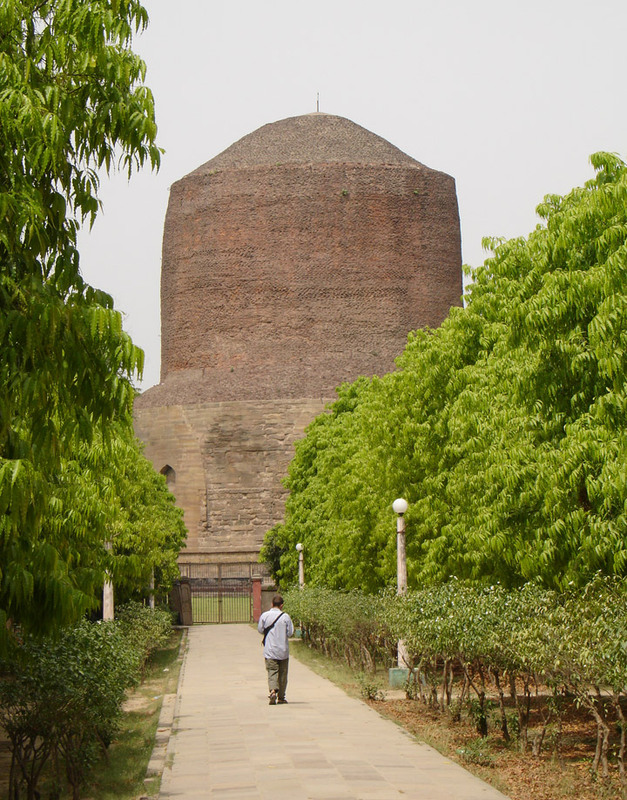 Sarnath is located 10 km northeast of Kashi (Varanasi) along the west bank of the river Ganges in the north Indian state, the cradle of Buddhism, where he first introduced Mahadharmachakra. Especially, Chinese travelers Fa-Hsien and Hiuen-Tsang make the Sarnath World famous. It is known locally as a deer roaming park (Mrigo Udyan /Deer Park) built in 1956 where all visitors will be attracted. Another view is that Saranganath is derived from the abode of Shiva. 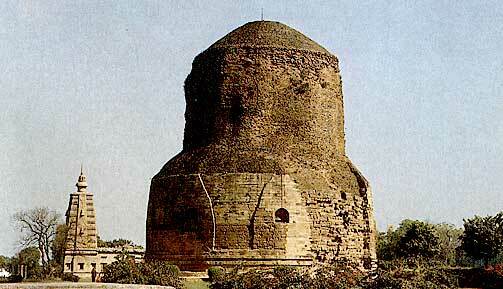 The relics of the ancient temple of Saranganath are located near the rai1way station. British archaeologists led by Major-General Sir Alexander Cunningham discovered the place during the 1834 and 1905, which is another attraction and historical significance of Sarnath stupa Chaukhandi. The octagonal stupa symbolizes the eight paths of salvation, engraved on the bottom with a lion as a symbol of fearlessness is the elephant in the dream of the mother of Buddha, and the horse and the bull came to the Buddha rode on the way to wisdom. The major initiative of Anagarika Dharmapala, a Buddhist priest from Sri Lanka was taken as Bodhgaya, the shaded Vihar with the main idol of the golden statue of Buddha.The altar under the tree has an image of Buddha with his disciples Asmaji five, Mahanama, Bhaddiya, Oyappa and Kondanaya. There is a Chinese temple, east of him. Visitors come from afar to worship, to offer the full moon day in November. The Deer Park is beautifully decorated with frescoes and the bird house, dressed next to the park is another attraction.